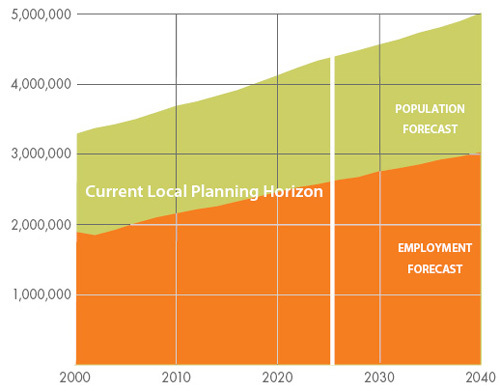 The forecasts above, published by the Puget Sound Regional Council for the four-county Puget Sound Region, show that by 2040 we can expect about 40% more people and 50% more jobs than we have today. Perhaps this explains our skyline of construction cranes. Posted by dan bertolet on	Saturday, December 29th, 2007 at 9:50 pm. You can follow any responses to this entry through the RSS 2.0 feed. You can leave a response, or trackback from your own site. A little bit of web surfing and observed your blog seems to be a lttle bit screwed up in my K-meleon web browser. However fortunately scarcely anyone uses it anymore however you might want to take a look into it.